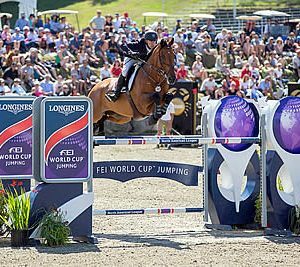 Bromont, Quebec, Canada, 31 July 2016 – Against a backdrop of clear, blue skies and a record-breaking number of spectators, the United States’ Jonathan McCrea piloted Special Lux to the top of the podium in the $100,000 Longines FEI World Cup™ Jumping Bromont at Bromont International CSI3*-W. The picturesque Bromont Olympic Equestrian Park played host to its 41st edition of the competition and to the launch of this season’s Longines FEI World Cup™ Jumping North American League. A starting order of 19 horse-and-rider pairs contested Brazilian course designer Guilherme Jorge’s track, his final design, before flying to his home country for the 2016 Rio Olympics. The 1.60 metre course, with 13 obstacles and 16 jumping attempts, featuring long, galloping lines, wide oxers, and large, sweeping turns that utilized the expansive, outdoor arena, prompted riders to remark that it was certainly “big enough” during the course walk. In particular, a demanding, vertical-oxer-vertical triple combination, off a tight, right-hand turn, near the final portion of the track would go on to force multiple rounds to record at least four faults. Veteran rider Peter Leone (USA), riding 10 year old gelding Wayfarer (Languster x Angel), was the first to enter the ring and nearly delivered a fault-free round save for a rail at the A element of the triple combination. But a clear round came soon after, when USA’s Alison Robitaille and 11-year-old, Dutch Warmblood gelding Ace (Berlin x Irco Polo) crossed the timers without a single fault as the third pair in the order. Six additional clear first rounds throughout the class ensured a competitive jump off of seven: Andrew Kocher (USA) and 15-year-old gelding Uppie de Lis (Andiamo x Landsieger I), Keean White (CAN) and 11-year-old gelding For Freedom Z (For Pleasure x Baloubet du Rouet), Jonathan McCrea (USA) and Special Lux, Ljubov Kochetova (RUS) and 10-year-old stallion Balou du Reventon (Cornet Obolensky x Continue), Todd Minikus (USA) and 11-year-old mare Babalou (Balou du Rouet x Silvio I), and Leslie Howard (USA) and 10-year-old gelding Gentille van Spieveld (Heartbreaker x Capital) followed Robitaille with their own clear efforts, respectively. The seven riders returned for the final, deciding round. The short track of seven obstacles with eight jumping efforts utilized a tight rollback turn from a vertical to another vertical, set at an awkward angle. The top of the jump-off order – Robitaille, Kocher, and White, couldn’t cross the timers without dropping rails. And as McCrea entered the ring, he knew he had to keep the jumps standing, but with a competitive time that would put the pressure on Minikus, who rode late in the order. “With Special Lux, if you make a jump off, going slow is not an option,” McCrea said. “I knew with Todd and Leslie coming behind me, I had to put the hammer down. Right before I went in, my wife [Christin McCrea], who rides with me and against me, said to me as I came down the hill [into the ring], ‘There’s no clears.’ I’m like, ‘Well, I could go for a clear [but if] I take one off, a slow four is not going to go well.’ She said, ‘You know, the horse you’re on is fast. Try and put the pressure on Todd. He has a lot of experience with that horse, and he’s won a lot.’ So going for a slow, clear round wasn’t an option. And true to form, McCrea masterfully navigated the rollback turn slightly wider than the former competitors in order to set himself up for an angled slice over the vertical to make a direct, eight strides to the following oxer. All eyes looked to Minikus to better McCrea’s time. 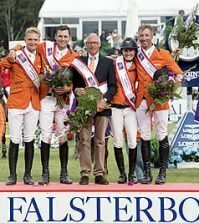 In April, the United States Equestrian Federation had named Minikus and Babalou to the short list for the Rio Olympics. But after narrowly missing the US Team, Minikus has shifted his sights toward the Longines FEI World Cup™ Final. Chasing McCrea’s time, Minikus made a tighter rollback turn that then forced the rail. He did have the time at 41.29 seconds, but the four faults kept him off the podium with a 4th-place finish. The final rider in the jump off, Howard had seen both clear rounds and made the conscious decision to rider for the runner-up position with a clear round at 49.58 seconds. McCrea’s mount is no stranger to winning the bigger classes. Originally purchased from Billy Twomey, McCrea’s friend from his original home country of Ireland, about three years ago, the Irish Sport Horse gelding was already competing at the Nations Cup level for Ireland with Twomey’s colleague, Anthony Condon. “Anthony did a great job with the horse,” McCrea said. “I got lucky when I heard about him – I tried him, liked him, and he’s been great. The first year I had him, he won a bunch after just getting thrown in at the deep end. [In 2013], we placed in the World Cup Qualifiers in Washington and in Kentucky. But in the middle of the 2014 season, Special Lux incurred a stifle injury that required surgery and an entire year off from competition. The majority of that time, McCrea and his team of veterinarians and grooms carefully rehabilitated the talented horse. 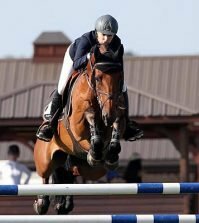 When Special Lux returned to the competition ring, he won two back-to-back, grand prix classes at HITS Saugerties and Tryon CSI3* to mark the occasion. “I am not the most stylish rider in the world, and he jumps a little unorthodox but he thrives off a gallop,” McCrea said. 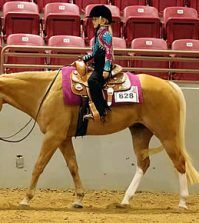 “I wasn’t brought up in the United States with the equitation and I tend to ride what I feel. It’s a real partnership, but we tend to get it done. McCrea will next head to Saugerties, New York with other horses in his string before a stint in Europe, gearing up for the Spruce Meadows ‘Masters’ CSIO5* at the start of September. But with the win today, plans for Special Lux will most likely adjust to maximize World Cup points. McCrea’s fellow competitors also voiced their collective hopes to qualify for the Longines FEI World Cup™ Final to take place in Omaha, Nebraska from March 27 to April 2, 2017. All efforts from the North American League will qualify the top seven US athletes from the East Coast sub league, the top three US riders from the West Coast sub league, and the two best-placed athletes from Canada and Mexico, alongside the qualified riders from the 13 other leagues from around the world. The top-placing Canadian rider, Keean White, also has his sights set on riding in the championship event. Thirteen events remain in the second year of the Longines FEI World Cup™ Jumping North American League, and much is sure to change as the season progresses. But the riders earning points from the start currently hold the advantage. All roads will lead to Omaha, and only time will tell if the top competitors will have the opportunity to jump for the title. The Bromont Equestrian Park was created to host the equestrian events for the 1976 Montreal Olympic Games. Following the Games, the site managed to keep its initial vocation. To this day, the Bromont Olympic Equestrian Park remains one of the rare Olympic venues to maintain its activities. The International Bromont celebrated its 41st edition from July 20 to 31 by setting new attendance records, in the heart of the beautiful Eastern Townships region.